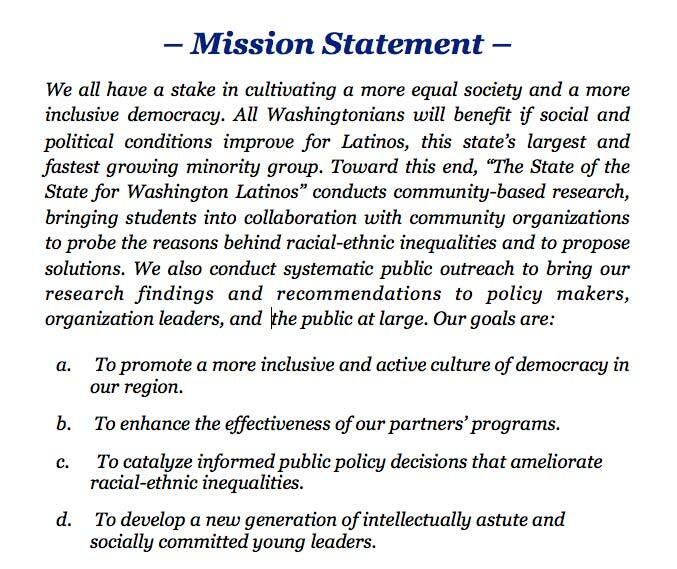 This report examines the electoral politics of Walla Walla County in order to assess the political condition of the county’s Latino population. More specifically, I researched Latino political representation, Latino voter turnout, and the reasons why Latino candidates haven’t won in contested elections in the county for the past eight years. Methods: I began by obtaining complete voters’ lists and elections records from the County Auditor’s office to determine both the number of registered Latino voters in the county and the instances when a Latino candidate ran against a non-Latino. After finding three elections in which a Latino candidate ran against a non-Latino, I began the task of combing through the complete voters’ lists for these elections and coding voters’ names by Latino and non-Latino surnames. The complete list of Latino surnames used by the Department of Justice was obtained from Yakima County and used to code voters’ names. Following the initial step of finding elections and coding voters’ names, I analyzed the three elections I selected based upon: Latino and non-Latino turnout and whether or not areas with higher Latino populations voted more for the Latino candidate (and vice-versa). The last stage of the project was interviewing the County Auditor, and two Latino political candidates. The Auditor was interviewed in order to gain a better sense of how the county runs its elections, while the candidates were interviewed to ascertain how they conducted their campaigns. I then connected my results with other scholarly work. I was particularly curious about the types of campaigns run by Latino candidates (i.e. did candidates do outreach to the Latino community? Did they publicly identify as Latino?). Especially salient to my results were the concept of deracialized campaigns, alternative electoral systems, and the effects of Latino-specific outreach (including bilingual voter materials) on Latino voter turnout. Although Latinos comprise 17.4% of the County’s population they are only 3% of those who turn out on Election Day. From 2000 until the 2007 general elections no Latinos who ran in contested elections were elected to office in Walla Walla County. There is no voter outreach to Latinos done by the county auditor’s office. Latino candidates neither identify themselves as Latinos while running nor do they conduct any meaningful outreach to the Latino population. Change Walla Walla’s electoral system from the current at-large format to one of either cumulative voting or limited voting. Outreach to the Latino community needs to be done by both the County Auditor’s office and Latino candidates. The County Auditor’s office should provide bilingual voting materials to the Latino community.